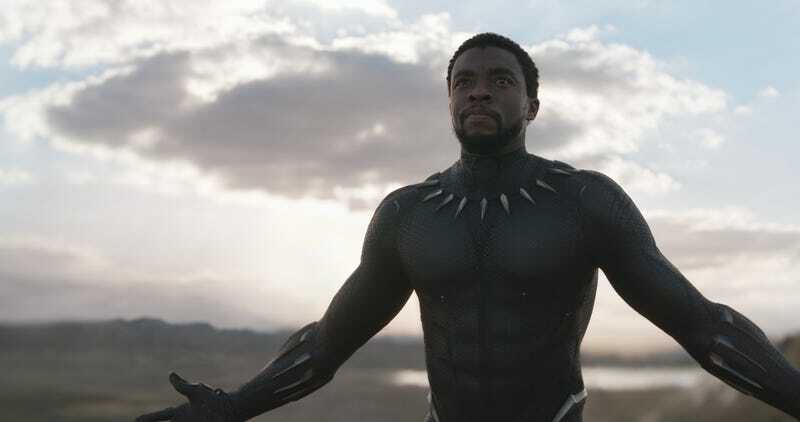 We may not live in a beautiful, secluded technological utopia at the moment, but at least some things can still go right: Variety reports that Marvel is quietly moving forward on a sequel to this year’s superhero delight Black Panther, with Ryan Coogler returning to the director’s chair, and also its writer’s, uh…desk? He’s writing the screenplay, is what we mean. Variety’s sources suggest that the movie will begin shooting some time in late 2019 (or possibly early 2020) and don’t mention whether Coogler—who’s expected to pull down at least a few Oscar nominations this year for the critically beloved superhero flick—will be re-teaming with Joe Robert Cole for the sequel’s script. It’s also not clear if he’ll try to slip another movie in between the two films; his production slate’s full at the moment, between Space Jam and Creed 2, but he doesn’t have anything that’s he’s currently expected to direct. It’s worth noting, though, that Marvel hasn’t officially commented on any of this yet; the company is being pretty quiet about its post-Avengers 4 plans, presumably because it already has enough spoiler problems with Chris Evans running around like a big enthusiastic puppy dog with a “Cap’s gonna die” sign hanging around his neck. On the other hand, Black Panther broke a bajillion box office records when it came out earlier this year, and Coogler’s leadership was a huge part of that. The only real question is whether the company has already contractually locked him down to come back for a second movie, or if he’s going to be able to hold out for one of those big “Patty Jenkins doing a Wonder Woman sequel” paydays.